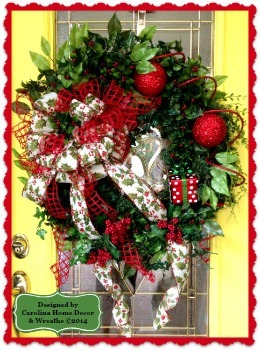 Beautiful 30"+ Traditional Artificial Pine Wreath with Ficus Leaves and LED Battery-Operated Lights throughout. Uses 3 AA batteries per strand (2 strands) that are included. Instructions state lights will burn for 25,000 hours before Batteries need changing. 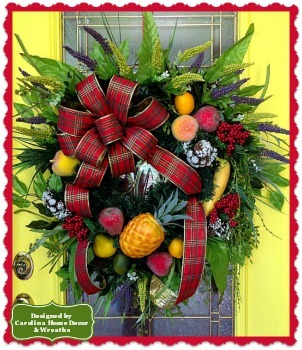 Easy access to battery switches on back of wreath. 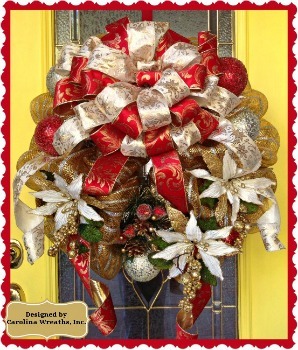 Features a Large Wired Red Velvet Bow with Tails that is edged in Gold. Embellished with various fruits including Iced Red & Yellow Apples, Peach, Limes, etc. and Large Gold Pinecones. 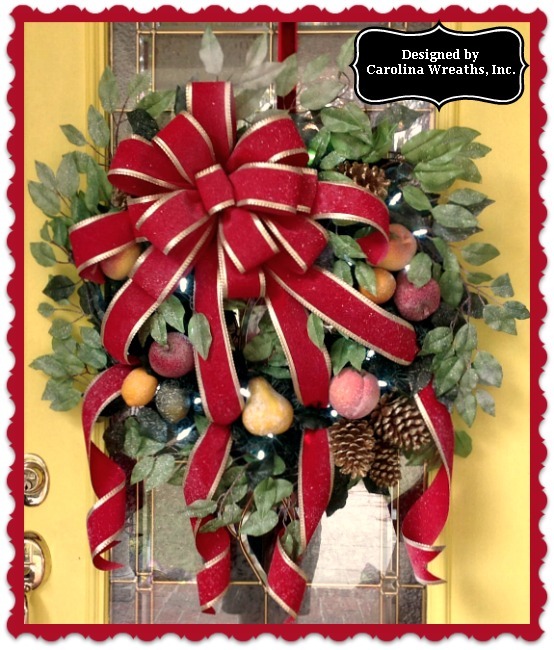 Entire Wreath, including Bow, sprayed lightly with Snows adds that Special Touch. Sprayed with Protectant. 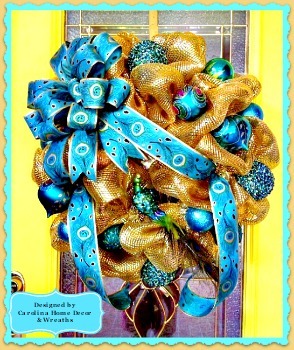 This Wreath is Absolutely Beautiful Day and Night! !